30 Nov Do You Have Your Eyes on the Prize? This time last Friday saw the grand celebration of the South Cheshire Chamber Business Awards at Crewe Hall. 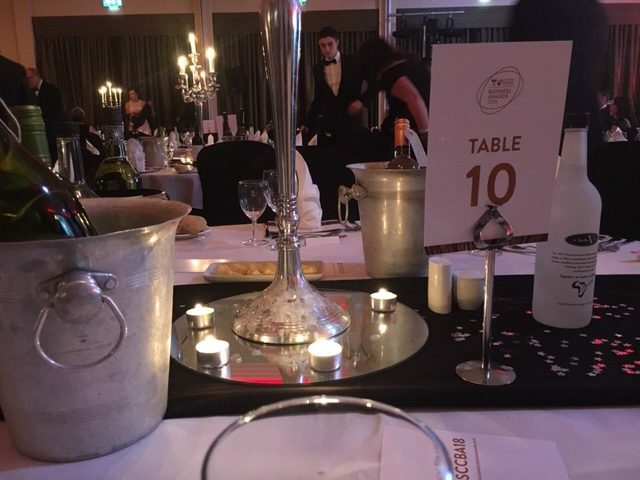 I was honoured to attend this fantastic event with two of my Associates, after being nominated for the Business Of The Year Award (Under 25 employees). In a room full of entrepreneurs, solopreneurs, business owners, and leading lights in the Cheshire business landscape, I felt proud to be representing PA Today Ltd as a nominee in the awards. PA Today work with businesses of a range of shapes and sizes, but predominantly small business. I founded the business after identifying a need for flexible, skilled and experienced staff in a number of organisations that I had the pleasure of working with. At the time, it was evident to me that many businesses; especially small businesses were attempting to cover many aspects of business at the same time. Business owners were wearing many ‘hats’ at the same time and had difficulty prioritising the tasks that would help their business to grow, because they were simply overwhelmed by their to do list. The Associates in my business take the tasks that business and owners simply don’t have the time or the inclination to tackle, and work in partnership to ensure the job is ticked off the list – whether this is a one off project or ongoing admin. We work with businesses from many different sectors and we offer support with finance, marketing, project mgmt, languages, and many more aspects of modern business. Looking around the room on Friday, I found great pleasure in knowing that many of the businesses nominated for awards recognise the benefit of outsourcing certain roles of their business. The clarity and support that these business owners may have felt in handing over certain tasks has, I’m sure, has given them more time to grow, promote and prioritise their business. This may have even led to them becoming award winners! Being part of that fantastic buzz at ‘SCCBA’ on Friday reminded me that the sky really is the limit in your business. So many inspirational people and stories graced the stage to prove this! If you are a business owner, either large or small, I invite you to take a moment to recognise those wins that you have experienced this year, and anticipate what you can achieve next year with the right support and resources. PA Today Ltd are now recognised as Highly Commended by South Cheshire Chamber. Do you have your eyes on the prize in 2019?